Whether we have Christmas behind us or Spring cleaning ahead of us, our homes are often in a constant state of fluidity. Things change. Holidays or well-meaning family bring gifts into our home, then de-cluttering sprees carry the older, burdensome items away. It reminds me of the ocean tide moving in and flowing back out. Pondering this gets me thinking about making your house a home. Why Make A House A Home? There are numerous reasons on why you, as a Christian woman, would want to do this; from creating a haven for your family to creating a place that is inviting and is always open for hospitality. But first, let’s take a step back and ask: Do you even want to? All the bullet point reasons in the world are written in vain if you don’t first have the desire to put said suggestions into action. So take a minute to think about it. Do You Want To Make Your House a Home? Do you want a place of peace and order that calms your family? Would you like to extend hospitality without worrying about a messy home? Do you want to raise children who have peaceful, orderly homes? And finally, do you want to put forth the effort it takes to create a home? You can be filled with the desire for better surroundings, but if you’re not willing to actually work on it, it will never come to fruition. The Christian life is about action and seeking good works. You can’t just hope for an organized home, you have to make an organized home. You can’t just wish for a harmonious home, you have to work towards that. And most of us can’t just know how to create peace out of chaos, we have to learn how. Step 1: Let the LORD build it. He is our rock, our foundation. We can’t do any good without Him. 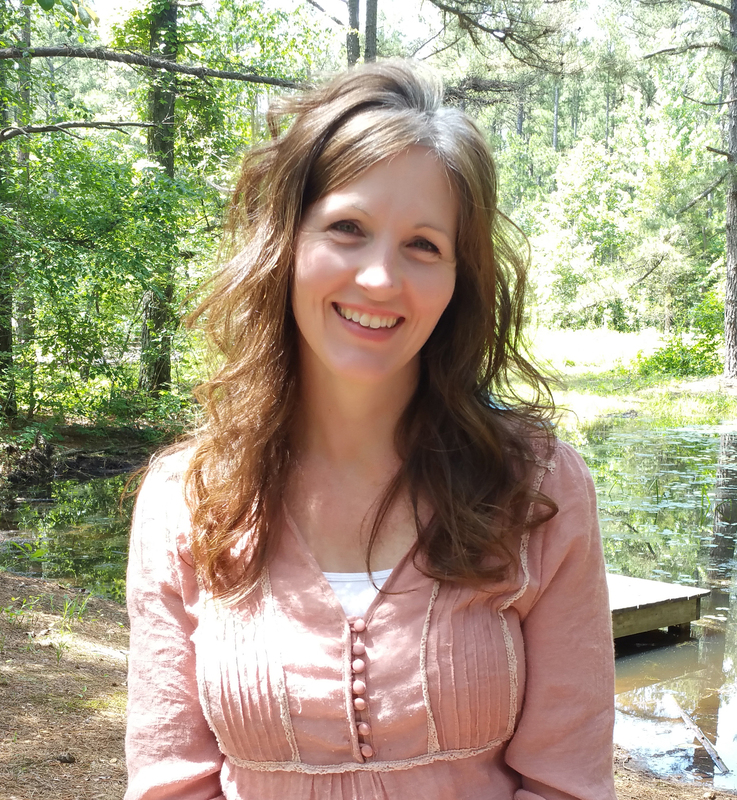 When we set out to make a cozy, homey place for our family and guests, it starts with the LORD. Your house can be pretty and clutter-free, but without God, it’s just a pretty house. If you want a home, start with Him. Pray for your home and how to make it a place of peace and blessing. Step 2: De-clutter. Homes have a purpose. If the purpose of your home is to create a peaceful haven, clutter is working against you. If your purpose is to extend hospitality often, clutter can frustrate your efforts. Clutter creates chaos, not tranquility. Step 3: Clean. A bad smelling house is an unpleasant experience and doesn’t make it feel like a welcoming space. Cleaning your home on a regular basis will keep yucky smells away and will force you to keep it un-cluttered. It’s a win-win for sure. Step 4: Organize. Even if a house is bathed in prayer, fully un-cluttered, and completely clean… if a lot of what you own is strewn about and not put away, your home appears cluttered and unkempt. 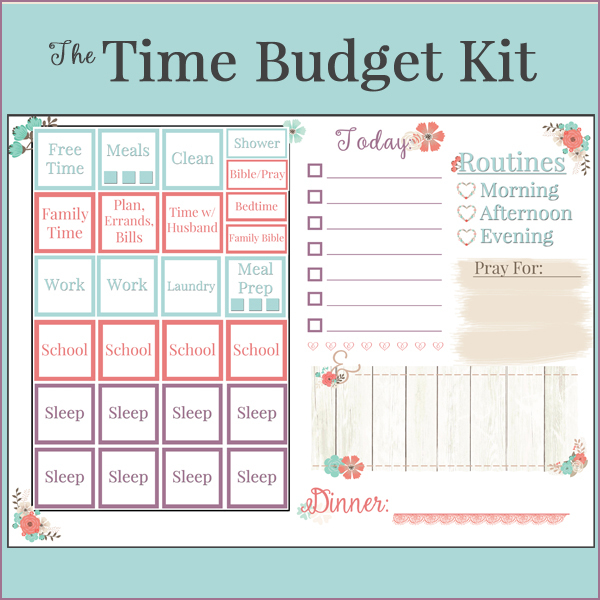 A note of encouragement here though, we live in our homes, we use them, our kids have toys out and we cook… so rarely will everything be perfectly organized and neatly put away. That being said, it’s not in our best interest to not put something back after we’ve used it. An organized space makes a house more of a home. Step 5: Decorate. If this is outside of your comfort zone, take heart, this isn’t an area I excel in either. Although I often wish it was. Decorating doesn’t have to be expensive and look like a Pinterest board. You can learn to add flowers from the yard, give something a fresh coat of paint, or put a cozy blanket on the couch. Little things can make such a difference and always add that homey touch. Step 6: Learn. If you live in chaos, learn how to change it. If your husband is stressed at home, learn to make it a place of peace. If you can’t seem to get a system or routine that works for you… learn. 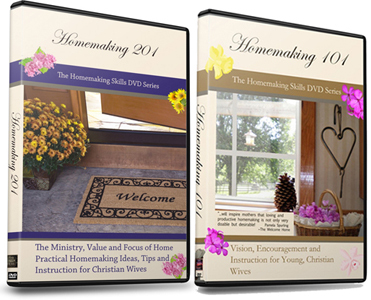 I’ve created resources specifically to teach Biblical home management, such as the Homemaking course. (Enrollment opens April 15th). Step 7: Put it into practice. Once you learn how to make your house a place that those living there truly love calling home, put what you know into practice. Daily. The more you practice, the easier it becomes. Don’t just read this post, diligently seek good works in this area of homemaking. Go through the 7 steps above, pick one to begin working on today. And if you feel overwhelmed by it all, comment below. I read each one and do reply. If you need more guidance in this area, join the waiting list for the Elements of Christian Homemaking course. Enrollment opens April 15, 2018. Making your house a home is worth the effort, especially when it builds up those who dwell within. Has this encouraged you? Please share, encourage one another! Thank you for this encouraging post! I especially appreciate what you said about prayer–praying that God would help me to make our home a place of peace and blessing. That is exactly how I want our home to be characterized. I’m adding this to my daily prayer list. Thank you for taking the time to write and record podcasts. Your ministry is a blessing to me! You’re welcome! I’m so glad to hear you will be praying for your home. What a difference prayer and the LORD makes in our homes! 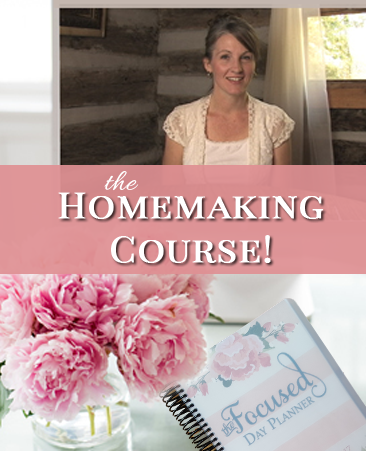 Are you going to offer the homemaking class in 2019?